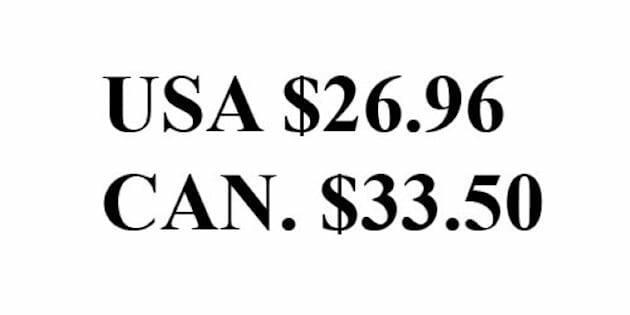 There will no longer be two prices on the back of your favourite novel, if a federal budget 2014 plan to close the price gap between goods sold in the United States and Canada is passed. Finance Minister Jim Flaherty was scant on details about how the government would go about ensuring the gap is closed, but said it would give the federal Competition Bureau more tools to crack down on multinational companies that are charging Canadians more for consumer goods, including clothing, books and electronics. Flaherty telegraphed the move in interviews over the weekend, hinting that legislation to stop “country pricing” or lowering tariffs might be on the agenda. Instead of offering any new tariff reductions, the government said it would focus on another source of the price gap — so-called country pricing strategies. Corporate conglomerates use their market power to charge higher prices in Canada that are “not reflective of legitimate higher costs,” the budget document explained, adding that it has evidence to suggest this is happening. “Higher prices brought on by excessive market power hurt Canadian consumers,” it said. The budget cited a 2007 study by the American Economic Review that found retail price differences between Canada and U.S. regions that are within 200 kilometres of the border, were on average 15 per cent, while there were no discernable differences in prices between stores in the same country. Using a fictitious example, Flaherty said if Walmart charged Canadians more for Cheerios than in the United States and didn't have an explanation, like higher trucking costs, then they should be punished. The Conservatives said more details will be announced in the coming months. The announcement is part of the government’s plan to focus on consumers and address a problem that it has long promised to fix. The pricing gap is being exacerbated by a plunge in the Canadian dollar against the U.S. greenback. The Canadian dollar is currently trading at 90.8 cents (U.S.). A Senate committee studied the issue about a year ago. It concluded that cutting tariffs would be one way to deal with the issue. The government also intends to monitor whether last year's elimination of tariffs on baby clothing and sports equipment — some of them as high as 20 per cent — is being passed on to consumers at the retail level. It said in the budget that the findings would help guide future decisions on tariff reductions.